Sweet and soft. 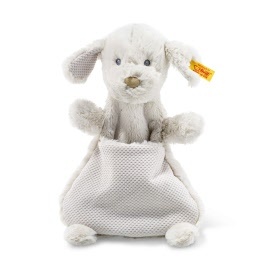 All of course machine washable at 30 degrees C.
Steiff EAN 237546 Hoppel Rabbit Comforter, 28cm. 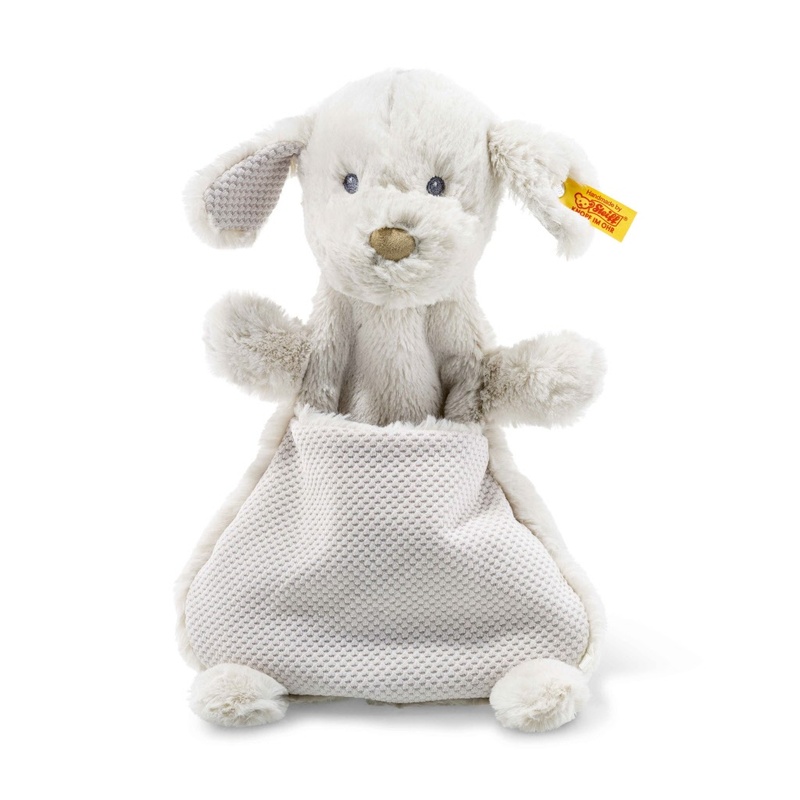 Hoppel rabbit comforter is made of fluffy, certified organically grown cotton. She has embroidered eyes and nose. Hoppel is machine washable at 30 degree C. Hoppel has the CE mark for safe toys. Steiff EAN 240836 Carrie Hase comforter, 25cm. 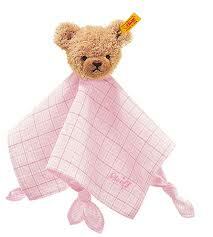 Steiff Carrie comforter is 26 cm. / 10.4" tall and made out of baby soft skin plus in the colors beige / red and green. She can hold a pacifier. Steiff EAN 241062 Blossom Babies rabbit comforter, 33 cm. 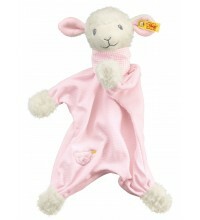 The Blossom Babies rabbit comforter gives warmth and comfort. 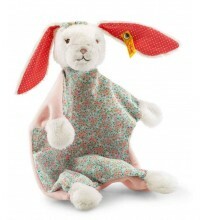 The 33 cm tall rabbit comforter has two funny red ears which provide comfort and softness. It's a wonderful present for a newly born and on many other occasions. It is made out of multicolored plush for baby-soft skin and stuffed with synthetic filling material. The baby collection has embroidered eyes and nose and is machine washable at 30° C. It is with CE mark and stainless steel "Button in Ear"
Steiff EAN 241017 Happy Farm Piggilee comforter, 25 cm. 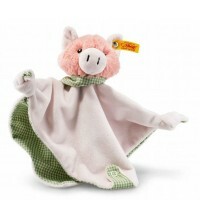 Piggilee, another member of the Happy Farm family, combines baby's need to play, have fun and cuddle all in one toy. The comforter offers warmth and comfort. The rattle in piglet's head makes delicious noises and the rustling foil in the left ear sound mysterious. Press stud in the snuggle cloth. Steiff EAN 240416 Pawley Lion Comforter Soft Cuddly Friends, 26cm. Pawley Lion comforter gives warmth and comfort. 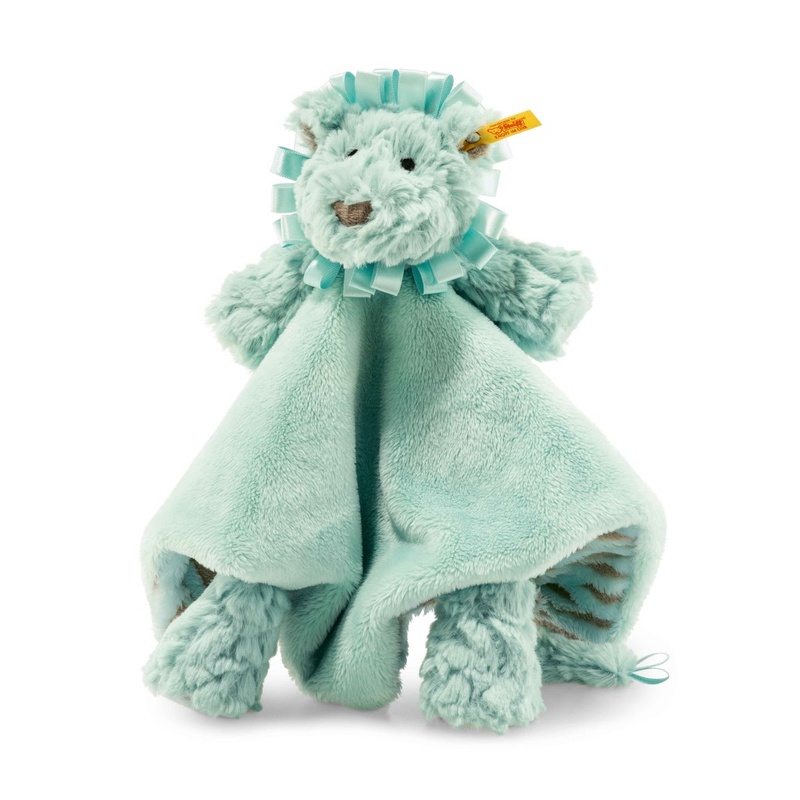 The 26 cm tall Lion comforter has ringlets attractive to babies and is soft and warm which provide comfort and softness. It's a wonderful present for a newly born and on many other occasions. 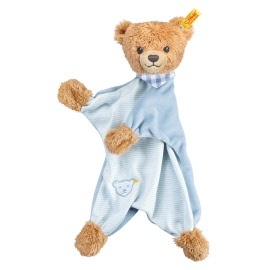 It is made out of mint plush for baby-soft skin and stuffed with synthetic filling material. 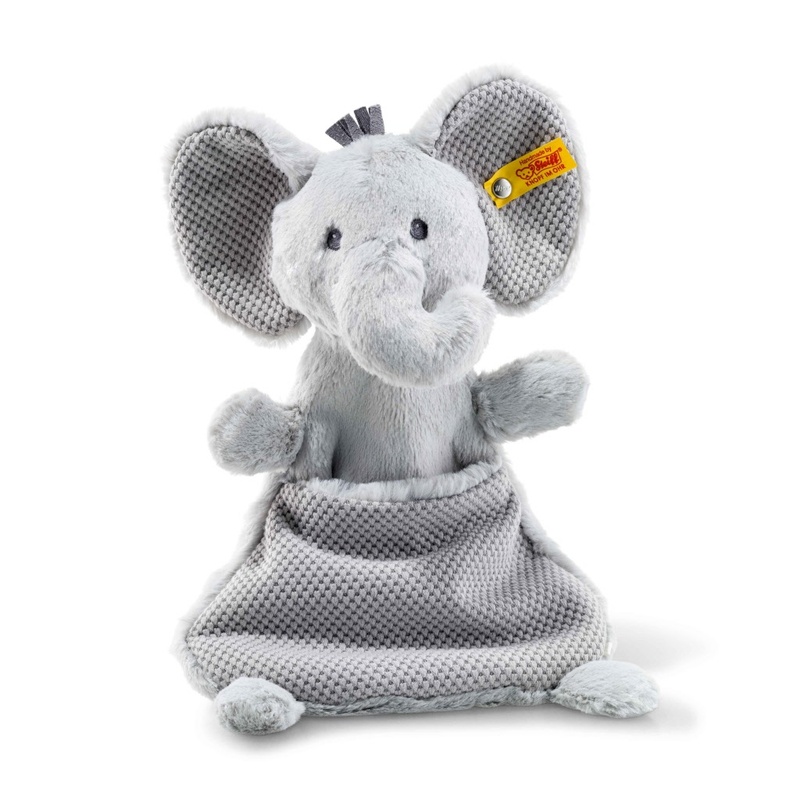 The baby collection has embroidered eyes and nose and is machine washable at 30° C. It is with CE mark and stainless steel "Button in Ear"
Steiff EAN 240751 comforter Belly rabbit Soft Cuddly Friends, 27cm. 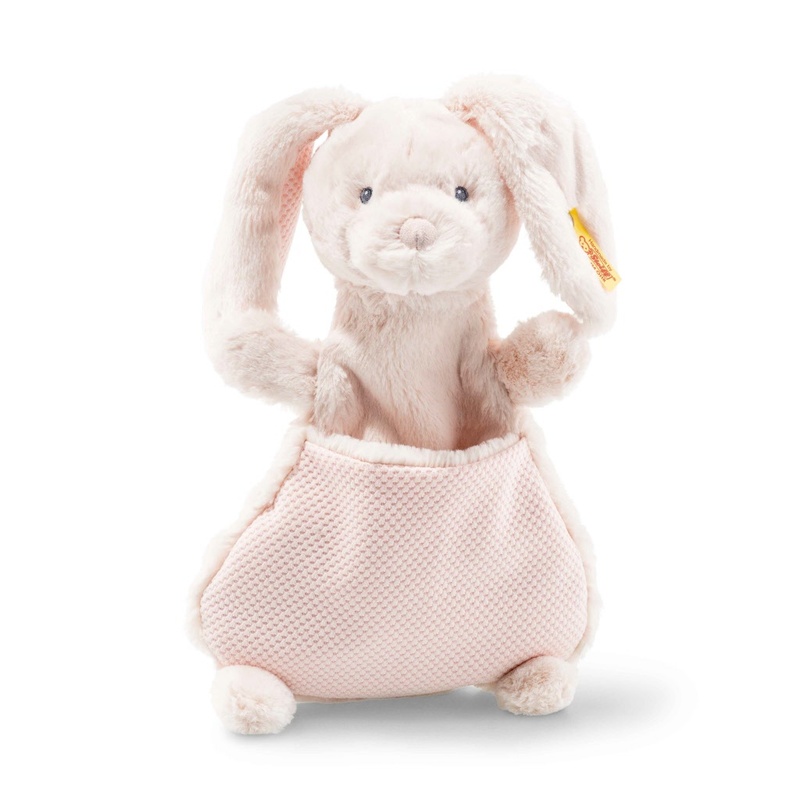 Belly rabbit comforter gives warmth and comfort. 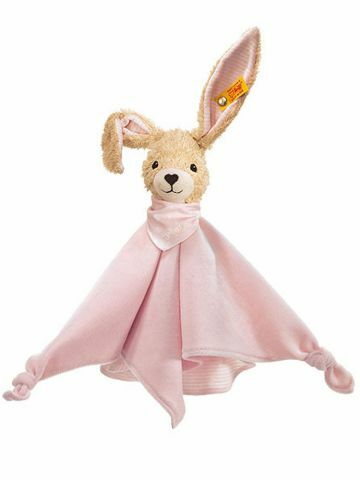 The 27 cm tall rabbit comforter has two funny pink ears which provide comfort and softness. It's a wonderful present for a newly born and on many other occasions. Steiff EAN 240737 comforter Giggles Teddy bear Soft Cuddly Friends, 27cm. 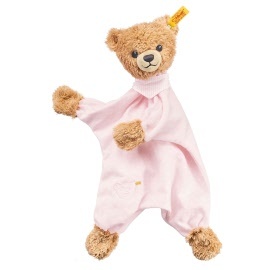 Giggles Teddy Bear comforter gives warmth and comfort. It's a wonderful present for a newly born and on many other occasions. 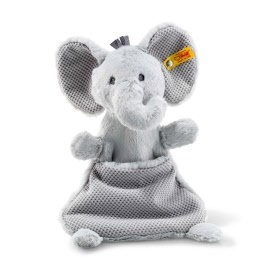 Ellie Elephant comforter gives warmth and comfort. The elephant has big ears which provide comfort and softness. It's a wonderful present for a newly born and on many other occasions. Steiff EAN 240348 Friend Finder Rabbit comforter, 28cm. 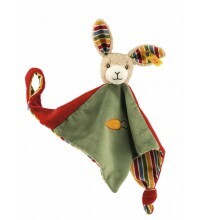 Rabbit comforter with rustling foil is made of cream/green plush for baby soft skin. He has embroidered eyes, is machine washable at 30°C and stuffed with synthetic filling material. He has a stainless steel “Button in Ear”. 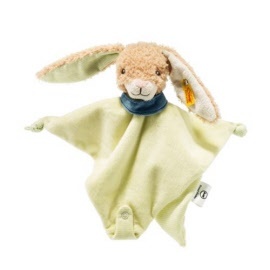 Rabbit comforter can be registrated at: www.code-no.com/steiff. So if he gets lost, his finder can put the code there also so Rabbit could come back to you. 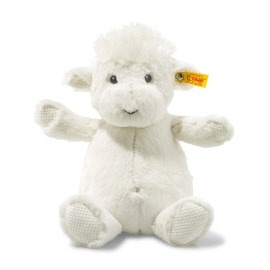 Steiff EAN 240720 comforter Wooly Lamb Soft Cuddly Friends, 27 cm. Wooly Lamb comforter gives warmth and comfort. It's a wonderful present for a newly born and on many other occasions. 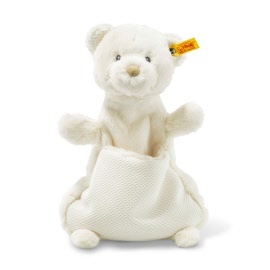 Steiff EAN 240324 Friend Finder Teddy comforter, 28cm. Teddy comforter with rustling foil is made of cream/green/petrol plush for baby soft skin. He has embroidered eyes, is machine washable at 30°C and stuffed with synthetic filling material. He has a stainless steel “Button in Ear”. 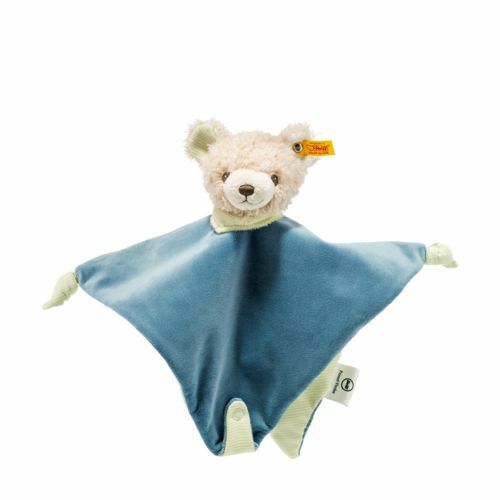 Teddy comforter can be registrated at: www.code-no.com/steiff den Knister-Teddybär. So if he gets lost, his finder can put the code there also so Teddy could come back to you. 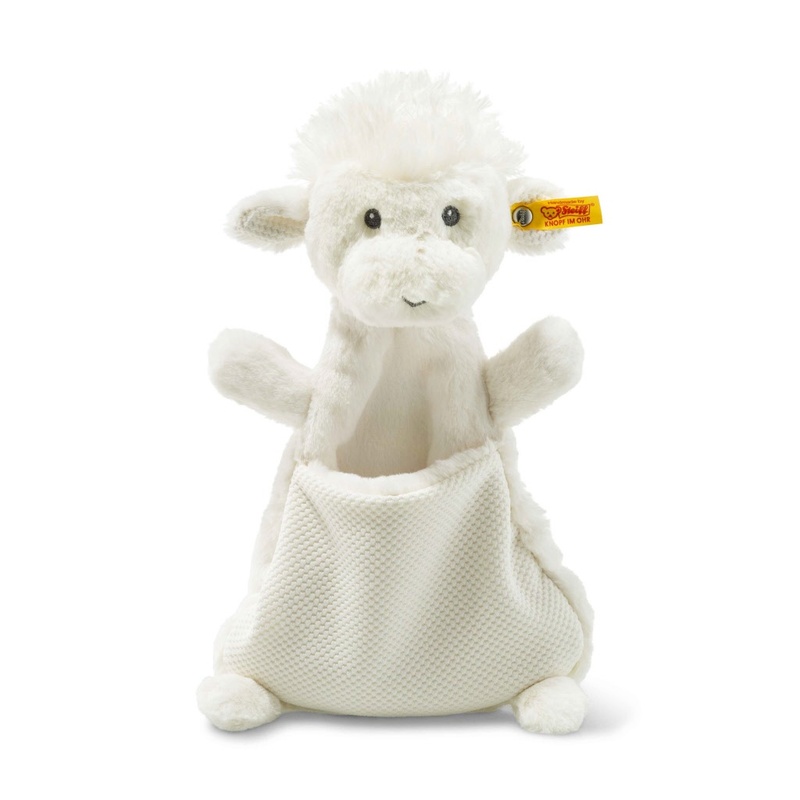 Steiff EAN 237867 Lenny Lamb comforter, 26cm. Steiff Lenny Lamb Comforter is 26 cm. 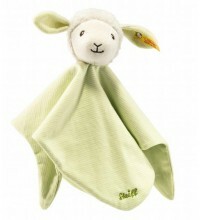 / 10.4" tall and made out of super soft fluffy white organic cotton and green baby soft material.